I've just recently received the sad news that Sylvia Shemwell, one of the original Sweet Inspirations, passed away this past February. As a member of one of the most influential female vocal groups ever, I thought we'd take a closer look. 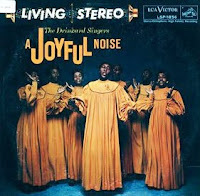 When Emily 'Cissy' Drinkard was five years old, she began singing in a family Gospel group called The Drinkard Singers. 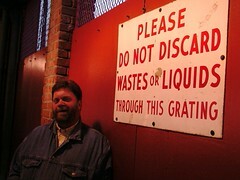 Originally from Savannah, Georgia, the Drinkards moved to New Jersey in the early fifties. 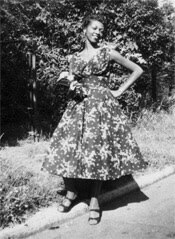 Emily's older sister, Lee, served as the manager of the group, which soon got noticed by Mahalia Jackson. 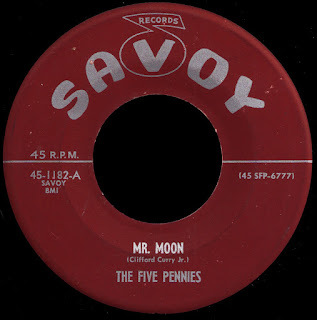 In 1951, they would appear with Jackson, Clara Ward, and Rosetta Tharpe at a sold out Carnegie Hall, after which they would record a few singles for Savoy, in addition to broadcasting live from Symphony Hall in New Jersey every Sunday. 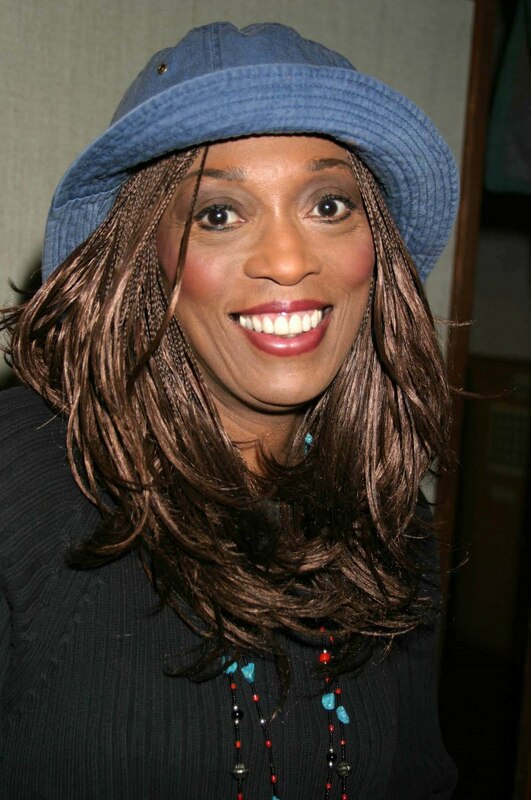 Lee, who was the mother of Dionne and Dee Dee Warwick, had also adopted another daughter named Judy Guions (who would later become known as Judy Clay). Judy joined the group, along with Ann Moss and Marie Epps, and their appearances at the Newport Jazz Festival introduced them to a wider audience. After being included on a 'Newport Spiritual Stars' compilation in 1954, their performances at the festival were always well attended. When they brought down the house at the 1957 festival, they were signed to RCA on the spot, and they released the critically acclaimed A Joyful Noise the following year. Cissy, meanwhile, was also the director of the Gospelaires, the young people's choir at her church, New Hope Baptist, in Newark. Both Dionne and Dee Dee were members, as was their cousin Myrna Smith and Judy's sister, Sylvia Shemwell. 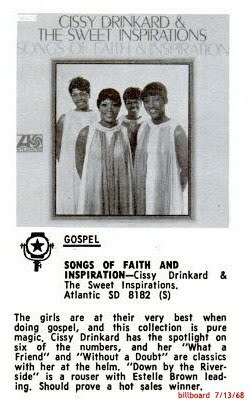 The Gospelaires began appearing publicly with The Drinkard Singers, and their talents were soon recognized by the local record companies, who began using the girls as background vocalists on sessions, the first being the Burt Bacharach penned Mexican Divorce with The Drifters in 1961. 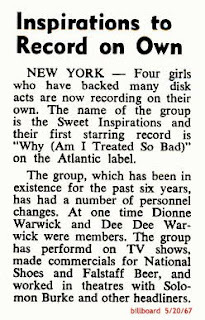 Bacharach, of course, would go on to make history with Dionne at Scepter, while Dee Dee and Judy Clay embarked on solo careers themselves shortly thereafter. I don't think you can say enough about the importance of these ladies' vocals to the phenomenal 'New York Soul' records that were being produced in and around the city in the early sixties. In addition to the work they were doing at Atlantic (basically taking the place of The Cookies who, as The Raelettes, had moved on when Brother Ray did in 1960), they would also back folks like Chuck Jackson and Maxine Brown for Wand, and become an integral part of the 'session scene' in town. Perhaps the most striking example of their contributions during this period is their uncredited mind-blowing appearance behind Garnet Mimms on Cry Baby in 1963. Justly acknowledged as the groundbreaking, chart-topping tour de force it is, it's hard to imagine what this legendary Bert Berns and Jerry Ragavoy production would sound like without the girls from Newark. Berns would go on to use them on just about every record he cut from then on, most notably on the subsequent string of hits he produced on Solomon Burke for Atlantic. Somewhere around in here, Sylvia cut a one-off single that was released on Philips in 1963, He'll Come Back. Written by Van McCoy and arranged by Teacho Wiltshire, it's become quite the favorite with Northern Soul fans, and will set you back about $250, if you can find a copy. 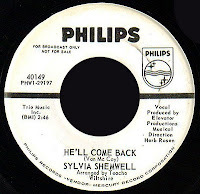 As far as I can tell, it's the only record Sylvia would make as a solo artist, which is a shame, as she more than holds her own - delivering her own soulful take on that New Jersey 'girl group' sound. I wonder what the B side is like? 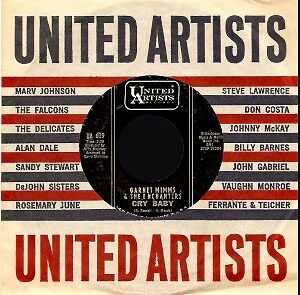 When Jerry Wexler signed Aretha in early 1967, he brought in Cissy (now going by her married name of Houston) to sing background with Franklin's sisters Erma and Carolyn on the timeless I Never Loved A Man (The Way That I Love You) LP. 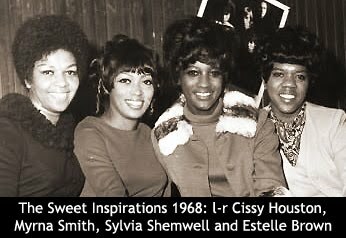 Just prior to that, Cissy had sung with the rest of her group (which now included Estelle Brown) on King Curtis Plays The Great Memphis Hits. 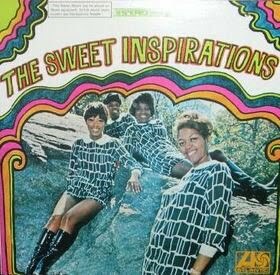 It was Wexler who dubbed them 'The Sweet Inspirations' and, as he said in Rhythm and the Blues, they "became one of the pillars of the Atlantic Church of Sixties Soul... ultimately it was only a matter of common decency to put them under contract as a featured group." Which is just what he did, producing their first sessions for the company himself, just a week after they finished up work on the Aretha album. Chosen as their first Atlantic release, their phenomenal version of Pops Staples' 1965 Civil Rights anthem Why (Am I treated So Bad) would break into the R&B top 40 (and even hit #57 on the Hot 100) during the Summer of Love. The follow-up, Let It Be Me, which had been recorded at those same New York sessions, did even better, just missing the R&B top ten. They would provide the background vocals that June as they were recording Aretha's Lady Soul (that's them on Chain Of Fools!! ), and would become closely allied with her for the rest of her tenure at Atlantic. 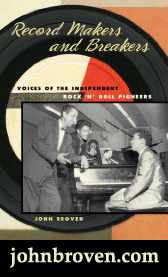 When the label decided it needed more material to complete an LP on 'The Sweets', as they were informally known, they sent them down with Tom Dowd to American Sound in Memphis. Wexler had been one of Chips Moman's first customers, and had already cut Esther Phillips, King Curtis and Wilson Pickett at the studio. During a sweltering two day session in late August of 1967, Dowd and Tommy Cogbill would produce some of the studio's finest work, not only on The Sweet Inspirations, but on King Curtis and Don Covay as well. As the story goes, Dan Penn and Spooner Oldham got up off the couch, wrote a song for The Sweets, and cut it themselves while Dowd and the rest of the Atlantic crew went to lunch. Released as the first single from the album, that song, Sweet Inspiration, became a monster hit (top 5 R&B, top 20 Pop) in early 1968. Check out the ad that Atlantic ran in Billboard that March. Talk about cooking on all burners! Note Sylvia's sister Judy Clay right there alongside her... very cool! 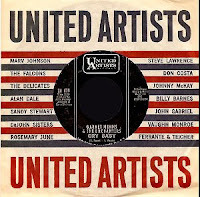 This rockin' selection we have here today was released as the flip of that single, and features some more 'in the pocket' work from the American Group behind their awesome vocal interplay. 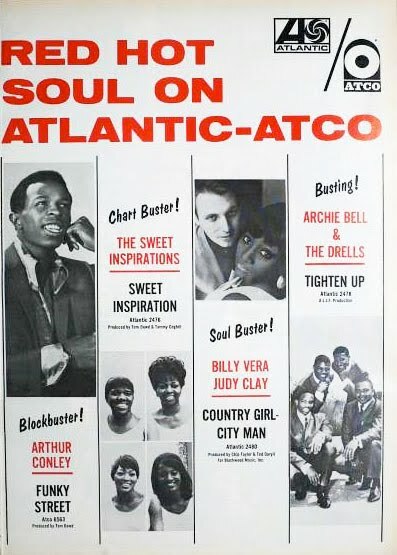 Written by Ike Turner, the original Ikettes version had been a hit for ATCO back in 1962. This one's better, I think... The Sweets would continue to chart that summer, covering hits like To Love Somebody and Unchained Melody, as well as singing on records by Aretha, Solomon Burke, and Billy Vera and Judy Clay. All of which kind of makes Atlantic's decision to cut a Gospel album on them at the height of their success kind of strange. 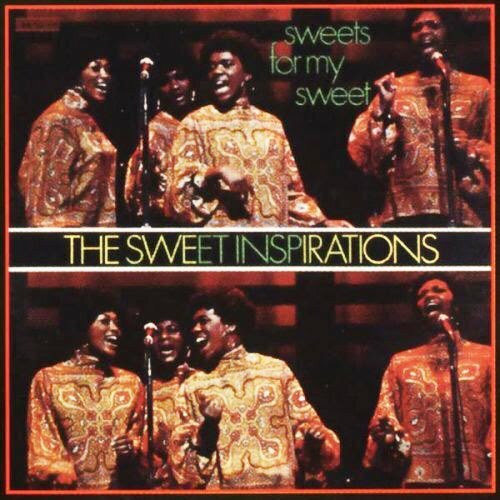 Songs of Faith and Inspiration by 'Cissy Drinkard & The Sweet Inspirations' would be released in the summer of 1968, right in between Tighten Up by Archie Bell & the Drells and The Midnight Mover by Wilson Pickett. I guess you have to give Wexler credit, I mean he knew that Gospel was their first love, and he let them sing it... They would also overdub their unbelievable background vocals in New York that summer when Atlantic brought back the tapes that they had recorded with Dusty Springfield at American in Memphis. Just listen to Son of a Preacher Man sometime, and you get the idea of how important the Sweet Inspirations were to the Atlantic Sound. I don't think they've received nearly enough credit for that. Emboldened by his own American Studio recordings that had put him back in the top ten in 1969, Elvis decided to return to performing in public. 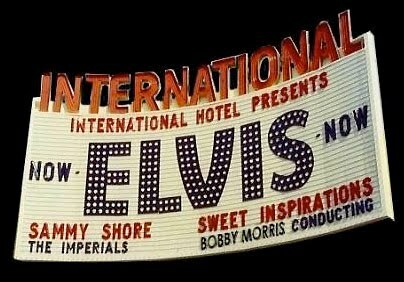 His engagement that christened The International Hotel in Vegas that July would mark his first appearance in over eight years. 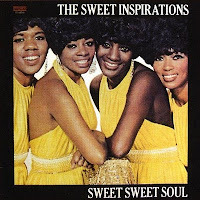 He could have chosen anybody to sing with him, but he chose The Sweet Inspirations. Deep down inside, he knew the deal. The Sweets provided his shows with some much needed soul, and I think he appreciated that. They would sing behind him for the rest of his life. 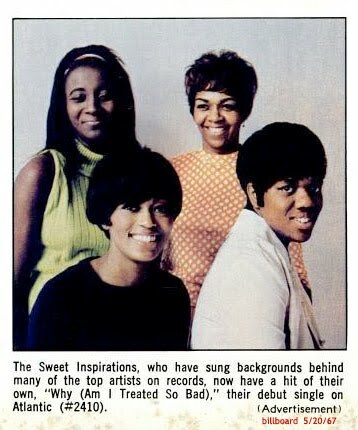 Tom Dowd had accompanied the ladies down to Fame in Muscle Shoals and cut the brilliant Sweets For My Sweet in early 1969, and the single they chose to release from the LP, Crying In The Rain (a cover of the Everly Brothers hit) would just miss the R&B top forty. This is really a great album, and captures the fabled 'second rhythm section' at the height of their powers. 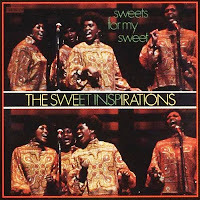 The Sweets were still singing backup for everybody from Yusef Lateef to the Rascals for the label, and Wexler even brought them down to work with Pickett and Cold Grits at 'Atlantic South' in Miami. 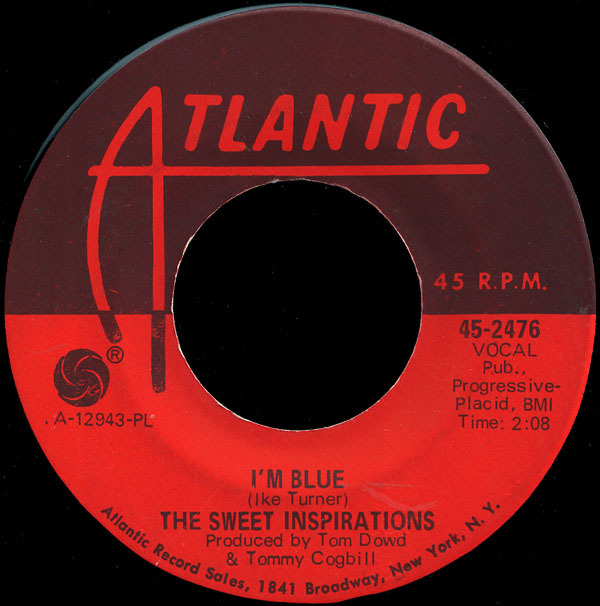 At the end of the year, The Sweets would record Sweet Sweet Soul with Ugene Dozier and Thom Bell at Sigma Sound in Philadelphia, and (Gotta Find) A Brand New Lover would become their biggest hit since 'Sweet Inspiration' in early 1970. Two more singles released from the LP failed to chart, however, and Cissy Houston left the group shortly after that. Although they would hit the R&B chart twice more for the label, by 1971, with Wexler now merely an employee and the Warner owned company's focus shifting to acts like Led Zeppelin, Derek & the Dominoes and Crosby, Stills and Nash, they (unthinkably, really) chose not to renew The Sweets' contract in 1972. In 1978, The Sweet Inspirations sang background on Frankie Valli's number one smash, Grease (! ), which had been written and produced by Barry Gibb and released on RSO records. In 1979, after Estelle Brown left the group, they were asked by The Bee Gees to go on tour with them, and signed by Robert Stigwood to RSO. 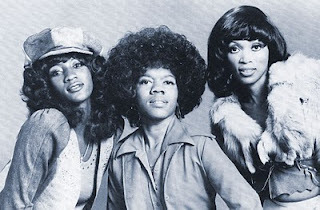 Pat Terry would take Estelle's place on their disco flavored album, Hot Butterfly, which didn't sell much - probably due to the fact that the company had overextended itself by then, and was busy fighting off a lawsuit from those self same Brothers Gibb. By mutual agreement, the girls broke up later that year. 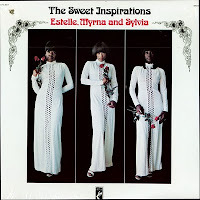 In 1994, original members Estelle, Myrna and Sylvia reformed The Sweet Inspirations, adding a fourth singer, Portia Griffin. They began performing again, and were in demand by the legions of Elvis fans who had seen them in the seventies with the King, in addition to the Soul intelligentsia overseas, where they retained a huge following. In 2001, Sylvia suffered a stroke which left her unable to perform. The group has continued on, however, and recorded their first album in 25 years, In The Right Place, in 2005. 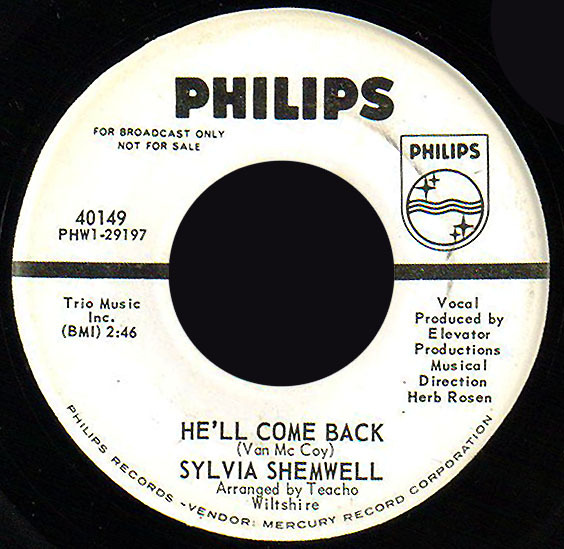 It kind of breaks your heart to think that Sylvia Shemwell, a lady whose voice has graced so many of the essential soul records that we all cherish, slipped away from us without so much as a mention in the press. May God rest her soul. 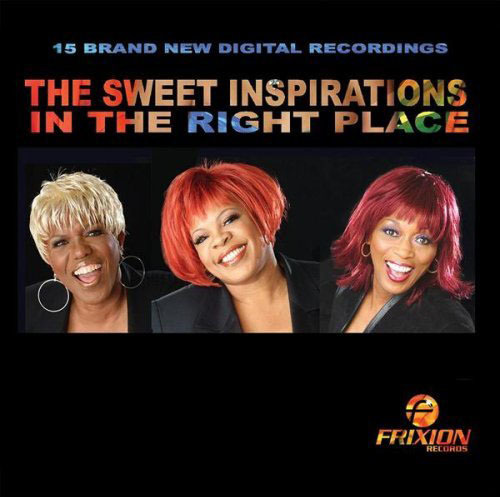 I've just learned that founding member and cornerstone of the Sweet Inspirations for all these years, Myrna Smith, has suffered a stroke and is currently receiving dialysis. There will be a benefit concert held at The University of Memphis on August 12th at 8pm to help defray her mounting medical bills. If at all possible, please try to attend this worthy event. Our prayers are with you, Myrna. You are loved. I haven't heard this in quite awhile but I can't remember what year it is from. Maybe my reading comp skills have disappeared with age but I couldn't find the answer in the text. Great post nevertheless. You do do some digging! I'm sorry about that, John... it does say up there somewhere "became a monster hit... in early 1968". To be more specific, "Sweet Inspiration" entered the charts on 3/19/68, and spent 14 weeks there. Thanks! Wow I knew a lot about the SI girls but not as much as that. 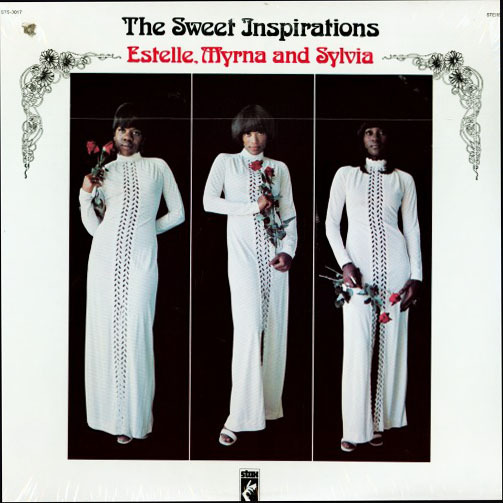 I really enjoyed reading that piece and have The Sweet Inspirations playing on the Ipod right now, Thank you Sylvia and i hope you got what you wished for. Thanks Red...yet again. Nice job as always, Red. They're one of my favorite groups. Keep on keepin' on, man! Maybe I'm missing something, but it's been awhile, hasn't it? 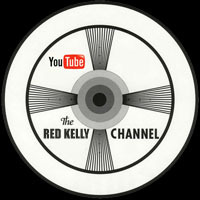 Everything ok up there in Kellyland? Long time readers want to know. So great to hear from you... I know you've been here with me since the very beginning, and I appreciate that. Things are fine here, they've just evolved a little bit, I think. I think the fact that everybody on earth seems to be on Facebook has had a major effect on this whole 'blog' thing. I mean, the fact that anybody can find some song on YouTube and 'embed' it into their Facebook page, but people have to 'click through' to my site to actually listen to anything has taken its toll. Very few of them actually make the journey, and I can understand why, I mean with the constant stream of 'status updates' on their 'wall' who has time for anything else? I flew Sir Lattimore Brown up to New York to perform at the shows, and promised to take him to the massive VA Hospital in Northport to have him checked out. Once I did, we realized that we are dealing with several health issues that need immediate attention and, for the time being anyway, Sir Lattimore is living at my house while we go back and forth to the hospital. He's in good spirits, and we've been having us a time... it's really kind of priceless to have this 'first generation' R&B pioneer around, and things have remained interesting, let me tell you. I've started a series on YouTube called SIR LATTIMORE BROWN - NOW that will, hopefully, give folks a glimpse of what we're doing over here as time goes on. Ultimately, as I've always said, this whole thing is about people, not vinyl, and I feel I have to walk this road and live this whole thing through before I can write about it... don't get me wrong, there's plenty of 'irons in the fire' and things that need to be updated, etc. - and that will happen - but right now my first priority remains with my friend and partner Sir Lattimore. I'll keep you posted, I promise. Jeeze, you have been busy. Sounds like life is good, although I'm sorry to hear Lattimore isn't in better health. Hopefully he's feeling ok? Glad I asked though because the whole Case No.7 thing at Soul Detective somehow passed me by. I've a lot of reading and listening to do. Believe me dude, I dream about new cases popping up on Soul Detective, it's my favorite blog ever. I play the "home version of the game", if you catch my meaning. I understand the disappointment over lack of response, but I hope you know there are folks that appreciate how hard it is to find these records, and how much time and effort you put into research. Guys like you [and there are only a very few in your league] take this blogging thing to a whole other level, head and hands above everyone else. I agree, it's a screwed up situation where you tube clips added to a Facebook page can be equated with the posting and research of rare 45's....But ya know, the difference is obvious to anyone with a smidgin of brains. The creation of original content on the net is still a very rare thing [just as it is everywhere else]. I'm constantly amazed at the number of music blogs which continue to copy the same old tired misinformation from allmusic. Me? I'd rather eat dirt than follow suit, even if it means I end up writing entirely too much about myself and my addiction to vinyl. Which bring me to one last point, that about being busy "updating status reports".....it's perhaps unfortunate that the core audience for rare 45 blogs is often exactly those folks who are interested enough in the 'niche' to already have, or indeed start, their own blogs. Ever visited mine? It's a very modest affair. One of my first posts was about how much I owe you, Larry Grogan, Dan Phillips, etc. Just the truth, offered with utmost respect. Well, now that I have visited, ana, I will most certainly be hanging out over there a lot!! You should, too, folks - check out one of the coolest New Orleans Music Blogs on the planet The Singing Bones, composed by a native who obviously loves her hometown, and is as much of a vinyl junkie as I am... awesome stuff, ana, thanks! A caught a few packets from your post that I didn't know - Van McCoy was writing way back then in the beginning? I had no idea. Much health and fortune to Sir Brown! 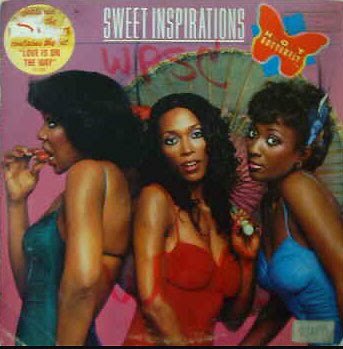 My favourite all time single from The Sweet Inspirations has got to be the B side of the Staxx release of "Sweet Inspiration"; "Dirty Tricks". I played that song in the club when I was a DJ from about 1974 to 1977. It always filled the dance floor. I never heard it played on radio or any other local club but I understand that it was quite the underground early disco hit.